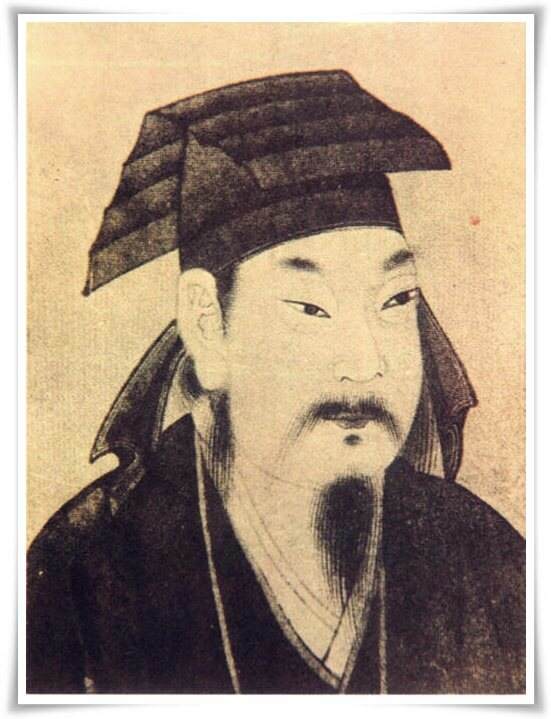 “He whose calligraphy could overwhelm 10,000 men”, these are the words of 刘熙载 (Liú Xīzaǐ, 1813 – 1881), a literary and art critic of the Qing dynasty 清朝 （1616 – 1636), describing the power and elegance of the calligraphy of Wáng Xīzhī. Today, Wáng Xīzhī of the Jin Dynasty (晉朝, 265 – 420 C.E.) is considered the most cherished calligrapher of all time, often referred to as the Sage of Calligraphy (書聖; Chinese: shū shèng). In Western terms, Wáng Xīzhī is to Chinese calligraphy as Michelangelo is to sculpture or Shakespeare to literature. Although none of his original work survived, according to historical records it is confirmed that Xīzhī created approximately 1000 masterpieces. Even today, calligraphers study from copies of his work, continuing the ancient tradition of calligraphic art. Figure 1: Portrait of 王羲之 (Wáng Xīzhī, 303 – 361). Wáng Xīzhī was born into a noble and powerful family. 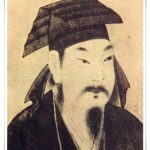 His father had royal family ties, and his relatives had military control and political influence in the Western Jin Dynasty. In the history of calligraphy, out of 100 famous calligraphers of the Jin Dynasty, 20 belonged to the Wáng clan. Many descendants of Xīzhī became outstanding calligraphers. From his earliest years, Xīzhī displayed a rather laid back nature. Initially, few people noticed anything outstanding about him. Lack of in-depth historical documentation makes it difficult to determine how Xīzhī matured artistically, however, certain facts are known. Xizhi began the study of calligraphy at the age of seven, first under the guidance of his father, and then with his aunt, 衛夫人 (Wèi fū ren (Madam Wei), 272 – 349), who was proclaimed the best female calligrapher in Chinese history. Her style was elegant yet powerful, and she was a strict teacher. Xīzhī learned the basics of standard (楷書, かいしょ, kaisho) and clerical (隷書, れいしょ, reisho) scripts rather quickly. At the age of nine he read a book written by Madam Wei, entitled “Diagram of the Brush Battle” (筆陣圖, Chinese reading: Bǐ zhèn tú). Three years later, he found another book on brush techniques. It was in possession of his father who was reluctant to give it to him. He believed that Xīzhī was still too young and would not understand it correctly. Eventually he allowed him to read it, after which, Xīzhī’s improvement in calligraphy was so significant that his teacher, Madam Wei, suspected that he was taking lessons from another master. On that day, she knew that Xīzhī would become a great calligrapher. Figure 2: Fragment of the Preface to the Poems Composed at the Orchid Pavilion (蘭亭集序, Chinese: Lántíngjí Xù), attributed to Wáng Xīzhī. This work is considered the most cherished calligraphy masterpiece of all time. Over 50 copies of the original survived. Ink on paper, semi-cursive script (行書, ぎょうしょ, gyōsho). It is said that calligraphy is “soul painting” or “heart imagery”, that calligraphy reflects one’s character and personality, one’s true self. Some calligraphers were outstanding artists, but certain circumstances occurred which caused their reputation to drop. For example, a great calligrapher of the Yuan dynasty (元朝, 1271 – 1368) 趙孟頫 (Zhào Mèngfǔ, 1254 – 1322) was considered a collaborator, when after years of refusing to accept the ministership of the Mongol dynasty court, he finally agreed. By contrast, as Governor of several prefectures, Xīzhī proved to be an upright and honest man who was concerned about the people and his country. He ordered the opening of granaries during famine, requested the reduction of taxes from the Imperial Court, and became known for fighting corruption amongst the officials. His peculiar character and hardworking nature, plus unquestionable talent, were the foundations upon which he built a personal style which has been admired for over 1600 years. Figure 3. 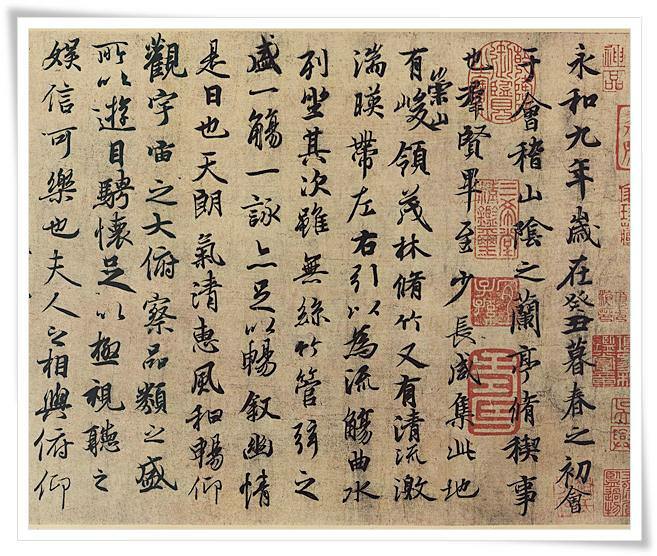 Letter attributed to Wáng Xīzhī, entitled 远宦帖 (Chinese: Yuān Huàn tiē), written in cursive script (草書, そうしょ, sōsho). 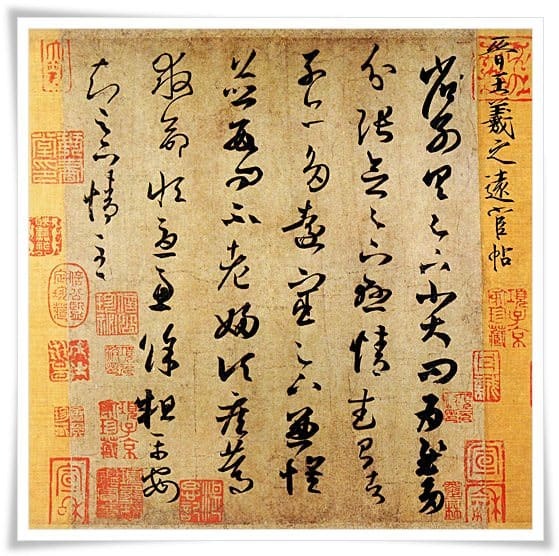 His calligraphy was so powerful and irresistible that it led Emperor Taizong of the Tang Dynasty (唐太宗, Chinese: Táng Tàizōng, 599 – 649) to stage a theft of the original copy of the Preface to the Poems Composed at the Orchid Pavilion (蘭亭集序, Chinese: Lántíngjí Xù), a calligraphy in semi-cursive (行書, ぎょうしょ, gyōsho) script by Wáng Xīzhī, written in 353 C.E. Emperor Tàizōng was a great admirer of Xīzhī’s works, and thanks to him hundreds of originals of various scrolls were copied by the best calligraphers in the imperial court. He also promoted the calligraphy style of Wáng Xīzhī among the imperial court members. Emperor Tàizōng ordered that upon his death the original of the Preface to the Poems Composed at the Orchid Pavilion was to be buried with him. It was the last time this masterpiece calligraphy was ever seen. Emperor Tàizōng was not the only ruler charmed by Xīzhī’s brushwork. Emperor Wu of The Liang Dynasty (梁武帝, Chinese: Liáng Wǔ dì, 464 – 549 C.E.) stated “Wáng Xīzhī’s calligraphy is as powerful as a dragon jumping through the Heavenly Gate or a tiger crouching in the Phoenix Tower”. Xīzhī’s works were also greatly admired in the Song Dynasty by famous calligraphers such as 米黻 (Mǐ Fú, 1051 – 1107 C.E.). Xizhi’s work enlightened him and allowed him to break away from the rigid style of the Tang dynasty, which was preferred in his time, i.e. the Song dynasty (宋朝, 960 – 1279). Ming dynasty (明朝, 1368 – 1644) calligraphers praised Xīzhī’s calligraphy for its elegance, style, form and sentiment, but most importantly for its grace. They often remarked that Xīzhī’s style was effortless, yet rich in spirit, charming yet not shallow. 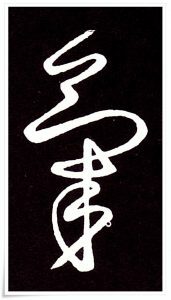 Figure 4: Virtuous cursive form of the one-stroke character 氣 (き, ki, i.e “air, atmosphere, mood, mind, spirit, vital energy”, etc. ), attributed to Wáng Xīzhī. When admiring masterpieces of Wáng Xīzhī, I do not see characters, but rather vigorous and perfectly balanced moving spirits, ingenious creations of a most imaginative and upright mind, pictorially exhibiting all of the complex yet harmonious relations between them. His works, even though they are merely copies of the originals, are simply mesmerizing. Wáng Xīzhī led a colourful life, and his unrestrained character is remembered through numerous amusing anecdotes such as “eastern couch” or “penetrating into the wood three millimetres.” His fondness for geese and how it influenced his calligraphy style is yet another interesting story to relate. Additionally, there exist numerous copies of masterpieces of Wáng Xīzhī, but several are outstanding in particular. I will discuss all of the above topics in the upcoming articles on the Sage of Calligraphy. I look forward to the Wizards! What a wonderful idea to share! What a fantastic website. Thank you very much for hosting this. I wonder if you could advise me in something: I’m intending to begin study on the specific styles of Heian period waka calligraphy, but am a bit clueless as to where to begin. 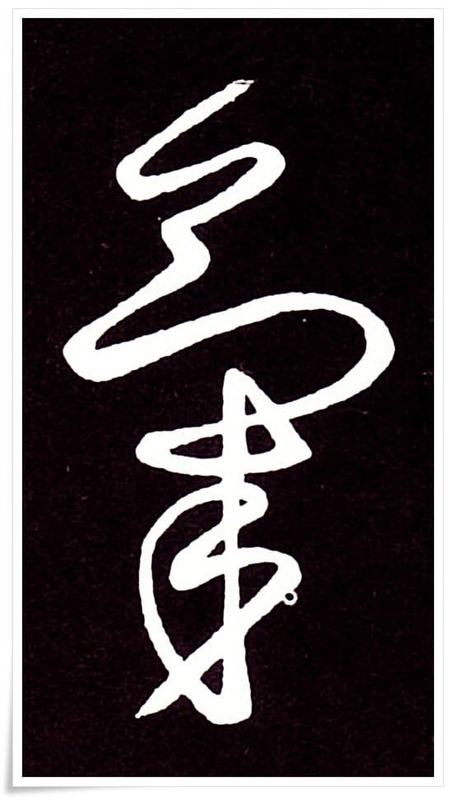 Do you know of any book titles worth looking into for Classical Japanese Court Calligraphy? Thank you, Steph, for your kind words. I am glad that you found our site enjoyable. This only gives me more power to write. In regards to your question. In English, I do not know any, sorry, but I may do some research on this. However, I would not suggest studying Japanese poems in kana without solid grounds in cursive script. It is a long way to kana studies. Also, us calligraphers, we study from ink rubbings, old masterpieces, and such items are not obtainable in English. Edit: If you can speak Japanese I could possibly suggest you some positions, however, as Rona said below, a proper calligraphy teacher to guide you is essential. I am taking the liberty of responding because I checked your link and see that you are living in Japan, teaching English and embracing the culture as I did when I first began to study calligraphy ten years ago. I am adding something to the response by the incredibly talented Ponte Ryurui who writes these articles and is a calligrapher of note. His advice is absolutely correct, but I shall take it one step further and tell you how I think you might proceed since you are indeed in Japan. If you want to approach the learning of the way of the brush you must begin with “Ichi”, the very first number or character, the essence, the beginning. You are very lucky because studying calligraphy in the US or countries outside of Japan and Asia is extremely difficult, and what is offered is often not authentic. My advice is to ask around in your area, find the best teacher you can and just begin. You can read and admire kana and anything else you wish but to actually “do” in the English sense, you must get on the 道 【どう】, road or way as in 書道 【しょどう】, the Way of the Brush and referring to Asian calligraphy based on Chinese characters. Wishing you well on your journey, it is incredibly rewarding, it does indeed take but the first step and becomes a lifelong pursuit if you wish it to be. Rona, it was very kind of you to check my link! As to whether I intend to become a calligrapher myself, I am not yet sure. I feel kneed to become more versed in the art before practicing it. Or perhaps you suggest it is the other way around? That to practice calligraphy is to learn? My main intention is to understand the characteristics of Heian period calligraphy; しょどう offers another dimension of meaning to waka, and it’s very intriguing. Would your advice, then, be to understand the way of the brush as unattached to one particular context, for it’s own sake? To understand any period of Japanese calligraphy, you need to start with the basics. Again, the regular script, clerical, etc. It takes years to get to kana. There are no shortcuts in calligraphy, and your studies will be futile if you skip that part.